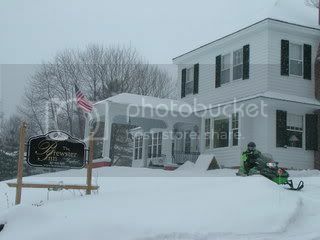 The snow is plentiful right now and so come and stay at the Brewster Inn for as little as $34.75 per person per night based on 4 sharing. Or from $39.50 per night based on 2 sharing. All prices plus tax and include breakfast. Use our winter specials, stay for 2 nights or more and stay for even less! Located just off Rt 7 in Dexter, 20 mins from exit 157 on I-95, we’re right on the trail for ITS 85 that takes you up to Greenville, Jackman, Millinocket and the North Country. 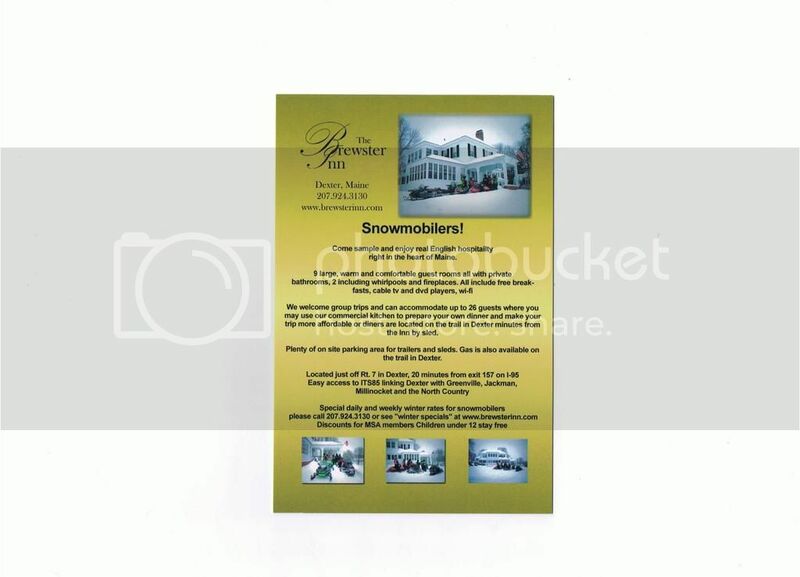 Below is our new brochure aimed right at the snowmobilers. 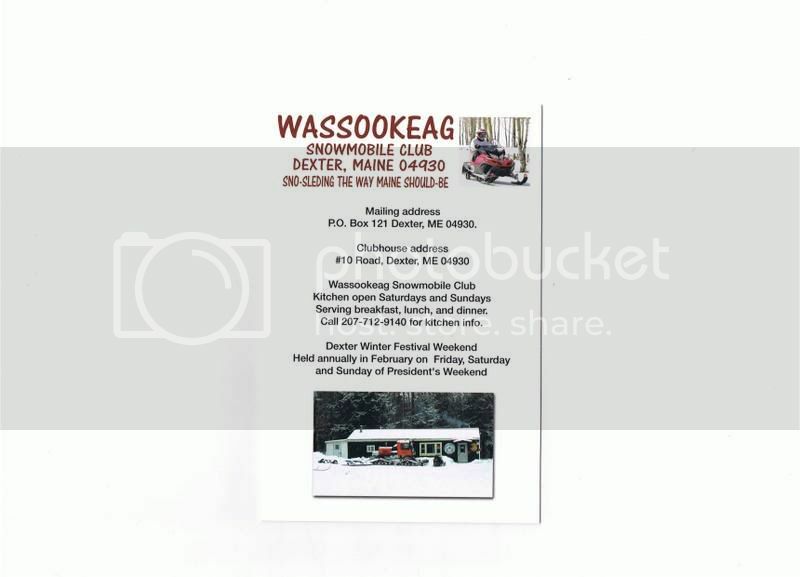 We work closely with the local Dexter club Wassookeag Snowmobile Club and on the back of the brochure you’ll see all their info there as well as on the homepage at the Brewster Inn. Just as in my last blog posting, this brochure is also available on our website or we’d be very happy to post one out for people that call us on 207 924 3130. On the weekend of 13/14/15 Feb we have the Dexter Winter Festival. Full info is available from the Wassookeag snowmobile club website. 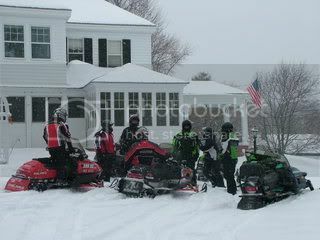 Come and enjoy a great weekend of snowmobiling and winter fun that weekend here in Dexter. See our new snowmobile brochure at the bottom of this post. 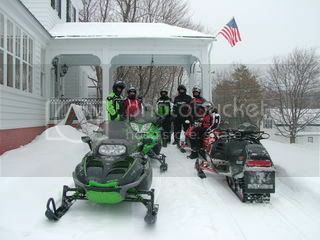 Below are pics of snowmobilers that we already get here. We have plenty of accomodation and parking and great value for money! 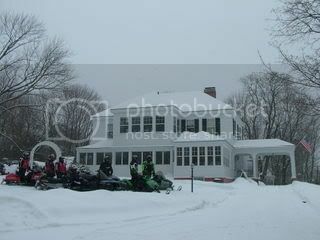 We can accomodate groups with ease here at the Brewster Inn. 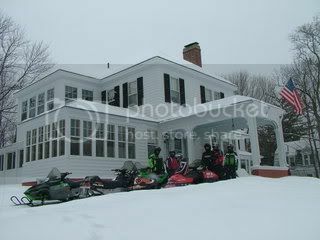 This entry was posted in General news, Seasons, Special events and tagged $34.75 per person, $39.50 per night, Dexter, Dexter winter festival, great value for money, Greenville, ITS 85, Jackman, Millinocket, North Country, snow, snowmobiles, trail maps, Wassookeag snowmobile club, winter, winter specials by admin. Bookmark the permalink.